The UAE is the biggest importer of paper and tissue in the Mena region with a per capita consumption of 175 kilograms compared to the global average consumption of 62 kilograms, according to an industry expert. The UAE is a primary market for Asian companies’ tissue paper and disposable products. 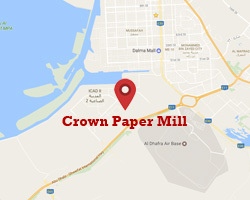 It imports papers and tissues mainly from Asia, and specifically from Indonesia, making it a key re-export centre in the Middle East, said Satish Khanna, General Manager of Al Fajer Information & Services, organiser of “Paper Arabia”, the only exhibition in Middle East for the paper industry. He added that the paper industry in the UAE is very profitable. This explains why multinational companies are opening up their regional headquarters in the UAE to serve the entire region. The Middle East paper industry, one of the fastest growing in the world, today meets half of the requirements of local consumption. This is an increase of 12 per cent over 2008, when the local production met just 38 per cent of demand. The region is thus less dependent on import of tissues from outside the Arab region, as mills increase their production, he added. 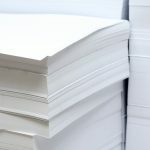 Moreover, according to the Indonesian Pulp and Paper Association, one of the world’s biggest associations specialising in paper, countries in the Middle East consumed 19 million tonnes of paper in 2011, and this figure is anticipated to increase to 29 million tonnes in the next 8 years. The association said that social media and the large dependence on digital technologies are having minimal impact on the consumption of paper in the world and the Middle East. However, Khanna said that while there are no figures to highlight how much the world spends on newsprint, it constitutes one third of expenditure on general commodity papers in the UAE. “This figure varies between one country and another, however it is very similar in the Gulf region and it gets less in countries with a poor media landscape,” Khanna added. It is estimated that 110 million pads were produced in 2010 globally, that reduced the consumption of paper by 1.1 million tonnes. According to the Indonesian Pulp and Paper Association, in the Middle East, the consumption of paper will increase by 11 million tonnes despite of the digital boom taking place in the Middle East and the demand will be met currently by international players as local paper manufacturers don’t have abundant water.